The Forever Cold keeps drinks cold for 24 hours, or hot for 12 hours. It has a 1.75 inch opening making it incredibly easy to fill with ice cubes, plus the dual pane stainless steel coupled with a top-plated bamboo cap offers a refined but simple look. 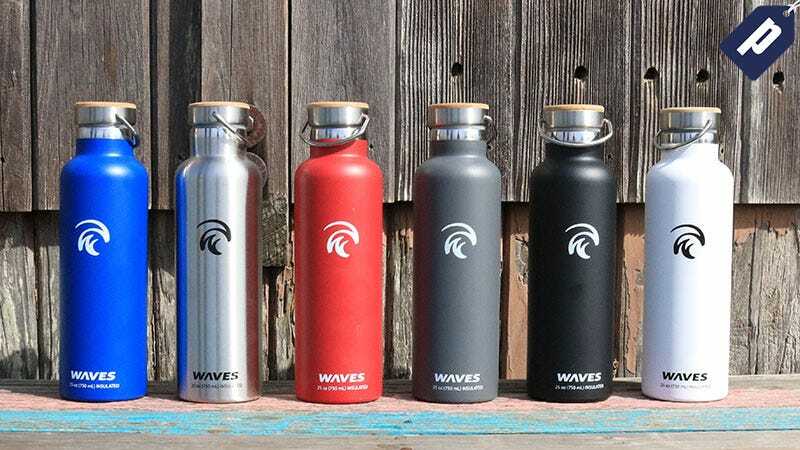 Choose from the 25oz or 34oz in six colors. Use code AUG50FC to save 50% and grab one for as low as $17. Full details here.